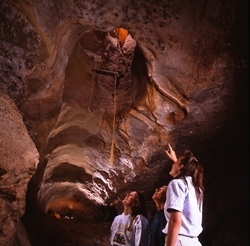 Explore the electrically lit portion of Cave of the Winds on a 45 - 60 minute guided walking tour which includes 15 rooms, a 1/2 mile of concrete walkways, and 196 stairs. On this family-friendly tour, you will learn about the history and geology of the cave while being shown some of its most beautiful formations. Explore, by candlelight, the mysterious an unimproved "Manitou Grand Caverns" on a 90-minute guided tour which includes nearly a mile of walking. Like the adventures of the past, you will navigate dark skinny tunnels, low passageways, uneven stairs, and rooms with muddy, original floors. Along the way, you will learn the history of Cave of the Winds as well as the frightening folklore, scary ghost stories, an unexplained phenomena of the Manitou Grands. Note: Children under the age of 6 are not permitted, and this tour is not recommended for persons who are easily frightened by ghost stories. 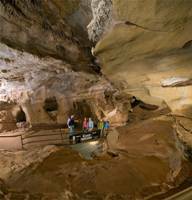 Explore the wild, undeveloped depths of the Manitou Grand Caverns on a 2 - 2.5 hour guide tour that involves an assortment of crawling, climbing, and walking through wet and muddy passages of various sizes. On this tour, you will crawl/climb/walk for nearly a mile while learning basic spelunking skills and the history and geology of the cave. Note: Children under the age of 13 are not permitted. All guests must bring a headlamp, a pair of gloves (i.e. leather working gloves, gardening gloves, dish-washing gloves, etc. ), and a complete change of clothes (Including shoes) for this tour. Knee pads, though not required, are recommended. 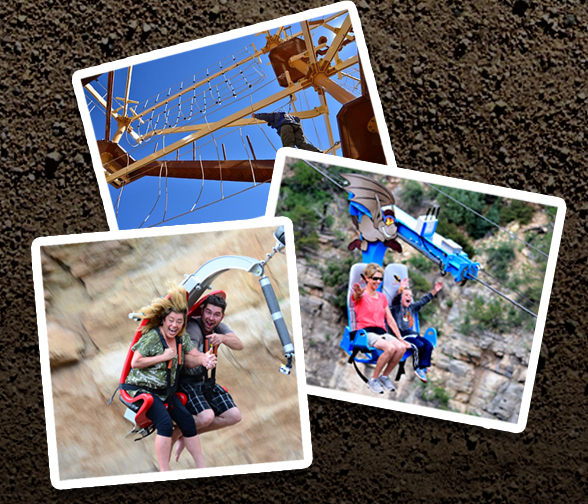 Walk on the wind on the Wind Walker Challenge Course, fly like a bat on the Bat-a-Pult Zip Line, and/or dive into Williams Canyon on the one of a kind aerial dive ride the TERROR-Dactyl. Plan your next educational field trip at Cave of the Winds! We provide a wide variety of interactive cave activities for students from preschool through high school. Availability is limited – make your reservations at least two weeks in advance to secure your preferred date! 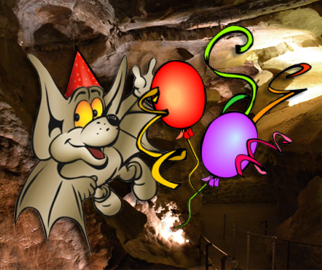 Come underground and celebrate your next birthday with us. Book your party online and let us help do the planning for you. All you need to bring are the decorations and refreshments. We’ll take care of the cleanup! THREE unique fun-filled party packages are available for kids of all ages! Come underground with your next Family Reunion, Corporate, or Club event. Select your tour below that best suits your needs today. We have just the right place for your Intimate Wedding, Wedding Reception, Corporate Party, Family Reunion, Bar-Mitzvah, and so much more.